This image was selected as picture of the day for November 23, 2006. Library of Congress, Prints and Photographs Division, Brady-Handy Collection, reproduction number LC-DIG-cwpbh-03890. "Published photographs in this collection were created before 1923 and are therefore in the public domain. Unpublished photographs in this collection are also in the public domain as Mathew Brady died in 1896 and Levin C. Handy died in 1932." 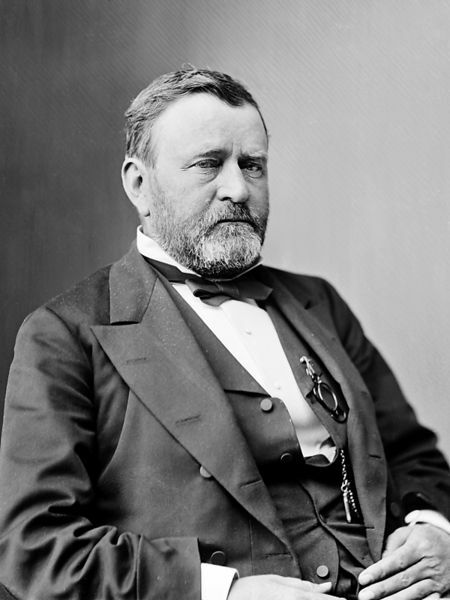 Español: Ulysses Simpson Grant (1822 – 1885), general de la Guerra Civil Americana y el 18º presidente de los Estados Unidos.